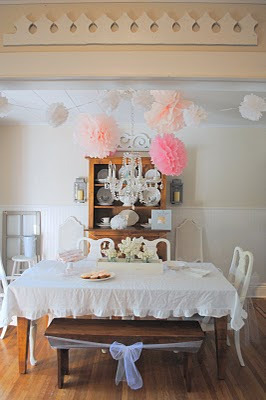 As always, I'm lovin' all the great Frugal Friday posts from last week's party. Now, I've decided that the problem with Frugal Fridays is that my to-do list increases every week as I add new fabulous projects that you all inspire! I guess that's a good problem to have, huh? Burlap & Blue shared some lovely bird silhouette art. 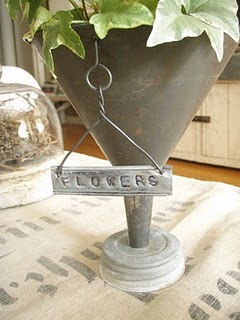 And last, but not least, From my home to yours shared some creative uses for funnels...loving this vase, and the cute "flowers" sign? Get out! If you haven't had a chance to be inspired by last weeks' Frugal Friday party, do yourself a favor, and click here. Thanks for the links! I was blog hopping and came across yours! I'll be back! Thanks so much, Wendy, for linking to my bird silhouettes! Though I have to agree about the lengthened to-do list after seeing everyone's craftiness...I'm not complaining though-love how inspiring your readers' projects are! 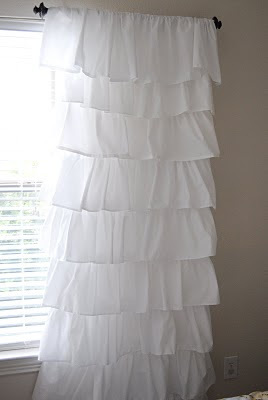 i'm going to have to make those curtains. i love them! Hey Wendy, I was so surprised when I saw the mention of my blog with the funnels. Thanks! I've actually had someone contact me to sell it to her! All these features look fabulous! Thanks for hosting!